As we live our lives, we smile, laugh, and frown to convey our emotions, our highs, and our lows. We wear our experiences on our faces, and that takes a natural toll on our skin. At Prestige Oral Surgery we hope to not just improve your smile, but ensure that you have glowing, youthful skin to match your perfect teeth. Juvéderm is an FDA approved gel-based filler that is administered by injection. 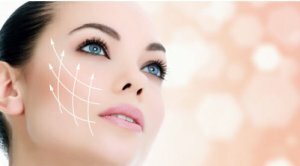 Fillers treat wrinkles by raising them, or adding volume. Juvéderm filler is made of hyaluronic acid, a naturally occurring substance in your skin that absorbs water and adds volume. Injection of this volume enhancing gel under the skin instantly restores your skin’s volume and smoothes out the appearance of facial wrinkles and folds. Botox is an FDA-approved medicine injected into muscles to block the reception of nerve impulses and relax muscles that create facial wrinkles. A non-surgical and non-invasive procedure, Botox can also target jaw muscles to reduce bruxism and clenching, alleviating headaches and migraine pain. This makes Botox incredibly popular as both a cosmetic and functional solution for facial wrinkles and muscular concerns. Though Botox and Juvéderm are similar facial rejuvenation procedures, they treat wrinkles and help the anti-aging process in distinct ways. It is important to understand the difference between these procedures and Dr. Mohammed Erakat will help guide you in choosing which treatment is appropriate for you. Do not spend a moment of your life feeling unhappy about your skin! Put your best face forward with facial enhancements from our office. Schedule your Botox or Juvéderm treatment with Dr. Mohammed Erakat. Call Prestige Oral Surgery today at 732-297-7000.